I always preferred zoom lenses over fixed focal length. I like the flexibility that it offers me and it is much easier to change the composition of your image by using one and the same lens by simply zooming in and out. The same applies when photographing birds from hides. Too close? No problem: just zoom out a little. Too far? Not a problem either: just zoom in a little. In my DSLR days I used the Sigma 150-600 Sports lens a lot. Good image quality, sturdy and reasonably fast in the AF department. Over a year ago i started to use Sony Alpha mirrorless bodies next to my Nikon full frame bodies. The longest lens that Sony currently offers in its arsenal is either the 100-400 zoom or the over expensive 400F2.8. For sure the latter is a great lens but besides the fact its very expensive, it is also too short a lens for wildlife and bird photography in my opinion. You will either crop a lot or use converters to get closer. For hide work a pain! Constantly switching from no converter, to a 1.4 converter or a 2.0 converter and back again! Currently the only option open for Sony users is adapting (mainly) Canon fit lenses (either Sigma or Canon original) with the help of an adapter. Two reliable options are the Metabones IV or V adapter and the Sigma MC11. So for me to get more reach I opted, at the time, for the Sigma 150-600 Sports lens in Canon fit together with the MC11 Sigma adapter. To cut a very long story short: I was not happy at all. I found out that AFC didn’t work at all, anywhere between minimal focal distance and approximately 10 meters, from 500mm upwards! AF was totally impossible. I did work in AFS but as a wildlife and bird photographer, I mainly use AFC. My camera store sent me 3 different 150-600 lenses and 3 different adapters to test and try but it simply didn’t work! So all this time i kept using my Nikon camera’s and lenses next to the Sonys. Not the best solution as i prefer to have only one camera make but as long as Sony, or a third party lens maker, wasn’t going to bring a long zoom in FE mount to the market, I felt I had no choice. At the Photokina, this year, Sigma announced the arrival of a new long zoom lens. 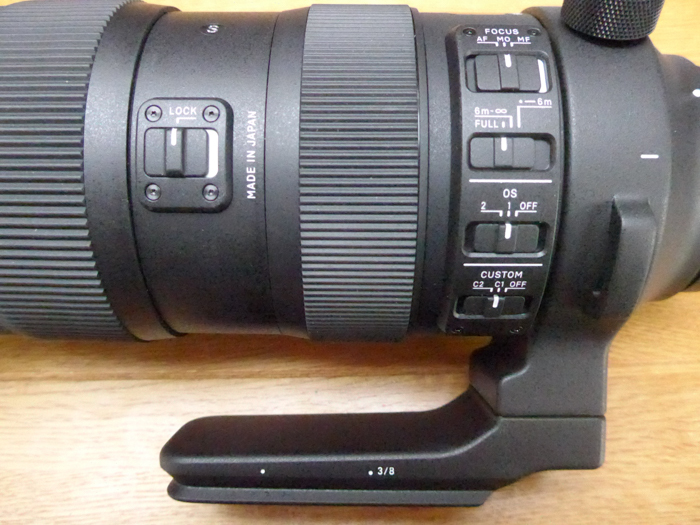 Enter the Sigma 60-600 DG OS HSM, available in either Nikon, Canon or Sigma mount but not Sony. Maybe someone could explain to me why not? Plenty of short third party Sony FE lenses available but nothing in the long lens section. A week ago i received a call from my favourite camera store: Cameracentre UK in Cardiff. They had taken delivery of the new lens in Canon fit and they asked me whether I would be interested to test the lens with the MC11 adapter on the Sony A9 and Sony A7RIII. My answer was: of course, lets give it a shot. As my experience with the Sigma 150-600 Sports lens wasn’t too good, I can’t say I had high expectations that this time around it would be any better. A day later and the lens was delivered by DHL. The lens is well built, is pretty heavy at 2.7 kg and the lens design is very similar when compared with the 150-600 Sports lens. Even though its almost 100mm longer on the short end, the lens is not any longer then the 150-600. The lens is dust and splash proof, has a manual AF override mode and what I liked best is that the lens collar has an ARCA style lens plate incorporated. So no need anymore to either replace the lens foot or add an ARCA QR plate. The lens also has a lens lock, so you can anchor the lens on different focal lengths as indicated on the lens barrel. Furthermore there are 3 focus settings: AF, MO (manual override) and manual. Close focus distance at minimum focal distance is an impressive 60cm and, at the long end, it is 240cm. There are 3 settings to speed up AF: Full, 6 meters-infinity and minimum focal distance to 6 meters. Two different image stabiliser settings with an effective stabilising effect of 4 stops. The Sigma USB hub can be used to create 2 custom settings. I set up C1 with fast AF as preference and C2 where I give preference to the focus acquisition over speed. One thing to remember with the Sigma lens is that the zoom action is the other way around, so some might need to get used to that. The zoom action is quite stiff but I like it. You can either rotate to zoom or simply pull to zoom. The day the lens arrived the weather was poor. It was raining and the forecast was that it would not get any better. Hence why my only option was to mount the lens with adapter on the Sony A9 and aim it at whatever showed up in our suburban garden…which normally is not much! Like I said: I was not expecting any kind of substantial improvement over my experience I had with the 150-600 Sports lens. However: I was pleasantly surprised! Even though the light wasn’t great, the AF worked fine. Both in AFS and AFC i encountered no issues. It was pretty snappy as well and for me it looked like a workable solution. I tried the various AF modes which are available on the Sony and it worked flawless. The only “weird” thing I noticed was that when I took by eye of the viewfinder, the M for manual focus lights up on the lcd only to quickly disappear. I swapped the Sony A9 for the Sony A7RIII and also with this camera body I did not encounter any issues. Again it worked fine on all different AF modes. It was now waiting for some better light and a visit to the local (boring) Royal park. That day was today! The weather was great, so this morning I went to the park armed with both bodies and the Sigma 60-600mm lens. The park has a small point and there are some Mallards, Tufted ducks, Mute swans, Moorhen and some exotic escapees. 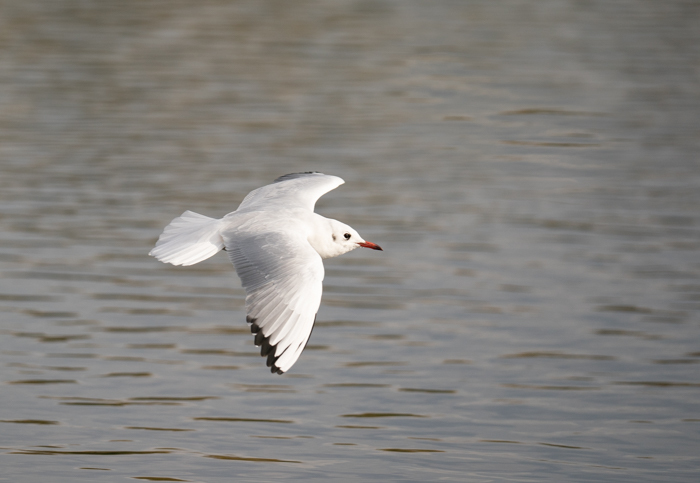 I trailed the lens on some Black headed gulls and AF acquisition was speedy and accurate. I think that flight shots in good light is definitely possible but zooming out to 600mm makes the lens front heavy. Personally I am not sure I would use the lens handheld. The park is also well known for its Red deer population. I wouldn’t want to call it wild Red deer but Park deer. Taking pictures of them is not much of a challenge in all honesty but to try and test new equipment they are an excellent target. 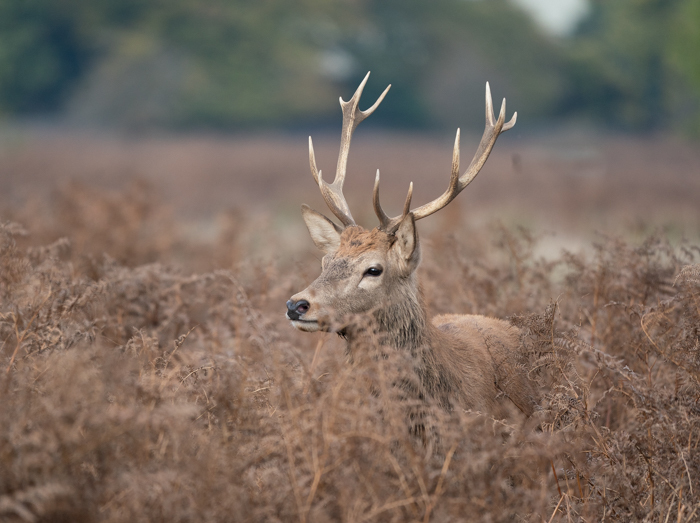 I found a male Red deer in the bracken and trailed the lens and again the AF worked without any issues. I did not encounter any of the issues I had with the Sigma 150-600 Sports lens. So all in all I can say that I am pretty happy and think I have (finally) found a long lens that works well with an adapter on either Sony body. For sure I need some more time with the lens in the field but I can honestly say that someone who is looking for a long lens on a Sony body should give this Sigma lens a try with the Sigma MC11 adapter. It works well. 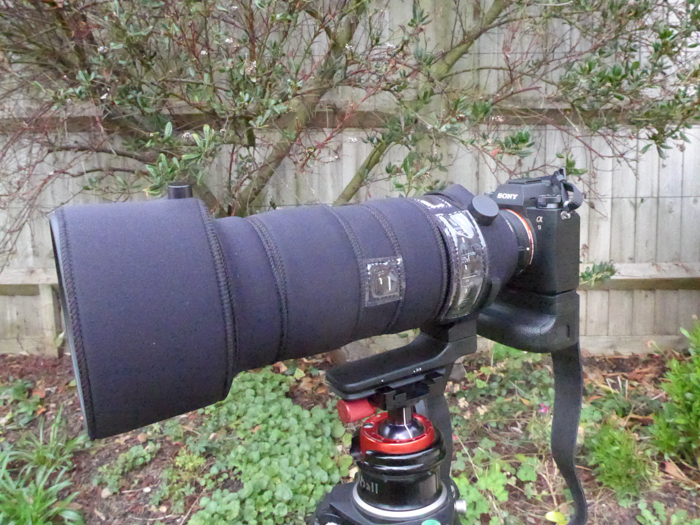 And before I forget: there is also a neoprene lens cover available for this new lens. Contact me for details. I hope this is useful. It is not a scientific review by any means but simply my experience with this fantastic new Sigma lens. Any questions? Feel free to ask me anytime either through an email or direct through this review. A big thank you to Nick Turner of Camera Centre UK in Cardiff for providing me regularly with equipment to test and try. Thanks for the review Rene! Sounds like a good option for my A7R3. What is the image quality like? Is it sharp? I know it won’t be as sharp as one of my Canon long primes but the versatility of a zoom makes me leave them at home most of the time. I would like to use it mostly for some animal shots (I am from South Africa and have more than one game reserve within 10 minutes drive from home) and some stationary birds. Thanks for the review. I am thinking of selling my 70-200 gmaster to fund this. I used the 70-200 to shoot my kids, but my son no longer plays high school baseball and my daughter will be finished with dance in a year or so. Since it seemed to work well on the A7R3, I am assuming it should work well on the A73. Hi thanks for the email. I would be surprised if it didnt work with the A7III. I am due to go on a trip with the lens and also have a 1.4 Sigma converter with me (TC1401). Not something i would use everyday but initial tests show that it even works with that decently. Hi Mauro, a good question. If you leave it with me i will test it as soon as i get a chance. just wanted to make a comment RE: Sigma adapted lenses and AF. I haven’t used the full frame alpha bodies with the MC-11 and sigma lenses, but the A6300 and A6500 crop bodies both have pretty good AF with the MC-11 using the 150-600C and 100-400 sigma lenses. Just wanted to share that. I originally opted for the 100-400 for my purposes, but have since decided that i’d like something longer. I was going to go with the 150-600S, but have seen a number of reviews like yours which have me leaning pretty strongly towards the 60-600 instead, thanks for the review! Did anyone try shooting video with A7Riii with this lens? what about the quality of video? Very nice review! I am wondering if this new 60-600 will AF well with the new Sony A6400 for BIF? I tried the 150-600 Sports on my A7RIII and like you said the AF at 600mm is a no go. Hi thanks. Thats a good question. I would think that it should work but before buying either the A6400 or the 60-600…i would try it in a camera shop. The other issue i would have with the A6400 is the fact that the camera is so tiny and it becomes a bit fiddly to use. Rumour has it that Sony is coming with a APSC body in an A9 shape…but its only a rumour.